Mt. Hermon Web TV: “Spud” Lee Arrested …….AGAIN! 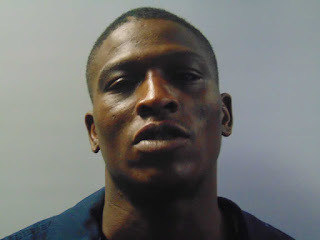 The Washington Parish Sheriff's Office reports that last month (on January 16, 2019), Anthony Ricardo “Spud” Lee, 31, a resident of Lee Road near Franklinton was arrested once again by Washington Parish Sheriff’s Office detectives. While investigating the theft of 4-wheelers and farm equipment from a rural location in the State Line area, detectives collected physical evidence, forwarded the evidence to the Louisiana State Police Crime Lab, and identified Lee as the suspect. At the time, Lee was incarcerated in the Walthall County, Mississippi, Jail for possession of a stolen firearm. He was returned to Washington Parish and booked into the jail charged with theft and violation of his probation. Lee has a lengthy arrest record that includes attempted second degree murder, possession of stolen property, possession with intent to distribute illegal narcotics, possession of illegal narcotics with a weapon present, obstruction of justice, possession of drug paraphernalia, resisting an officer with force or violence, burglary, and traffic violations.